Soul Intent aka Alex Judd has been DJ’ing since the age of 15. On first hearing a DJ Randall mixtape Alex knew he wanted to become a DJ and be involved in the rave scene. In 2005 he set up Brutal Recordings with a few other Nottingham based DJ’s and producers under the name Dataset. The label managed two releases before it was abandoned due the artists having other commitments. Frustrated with how slow things were going, and not being able to get tracks finished the way he’d like, Alex spent the next 6 months working on his production. Then December 2006 he sent off a CD to Mary Ann Hobbs at Radio 1. Pretty much straight away she got in touch, saying she was going to play ‘Jus Vibe’ (Blindside Recordings) on her show that same week. A few days later after DJ Flight played ‘Bibio Dub’ on her Next Chapter show on Radio 1’s digital station 1xtra. Then shortly after xmas the Godfather himself (thats Grooverider for any younger listeners) on his Friday night Radio1 show. “I’m expecting big things from this guy” remarked Grooverider. 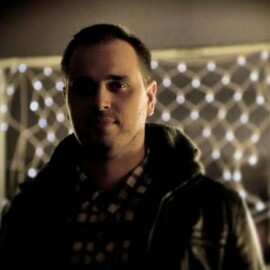 Now in 2013, with over 20 vinyl appearances behind him Soul Intent continues to build a reputation for producing and DJ’ing exciting and fresh music. If he’s not dj’ing around the UK or Europe, he’s working on his own imprint Lossless Music or busy in the studio, either as Soul Intent or under his 140bpm alias Odyssia (released material on Kokeshi). There are many, but getting my 12” on Doc Scott’s 31 Records is tough to beat.